Believed to have a full set of sails : Foresail, main and mizzen but has only been used as motor vessel by present owners. Dutch built steel motor sailor. Dutch steel motor sailor for sale in France. Boatshed Midi Canals is pleased to offer this Dutch motor sailor, now cruising in the inland waterways. She is lying in dry store so will be easy to inspect or organise a survey, canal is only 300 meter away so will be easy to put back in water. Sensible price and lots of original character & charm. 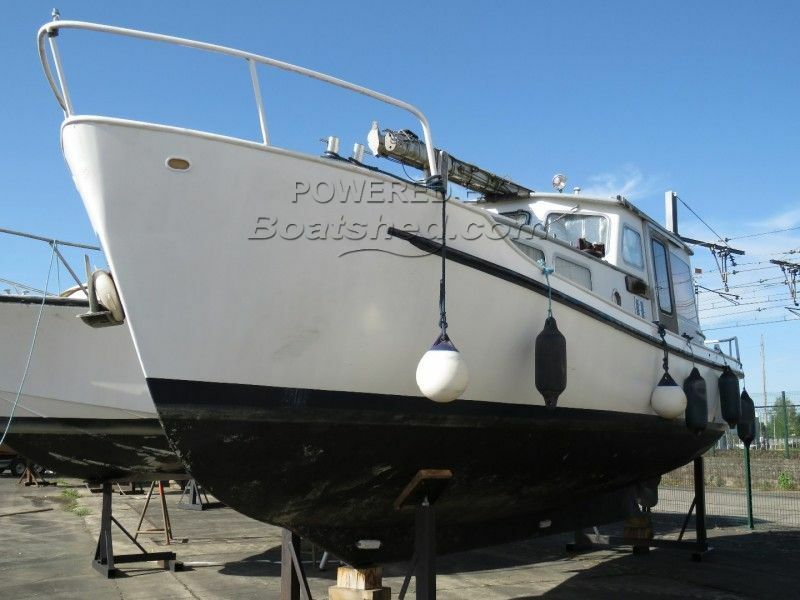 Will make a great motor sailor or motor cruiser for French waterways or coastal cruising. For more information or organise a visit, please contact, Graham, your broker at Boatshed Midi Canals. This Motor Sailor 34 Inland & Coastal Cruiser has been personally photographed and viewed by Graham WHARMBY of Boatshed Midi Canals. Click here for contact details.